Photography on the Run: Another view of Pine Mountain and Mt. 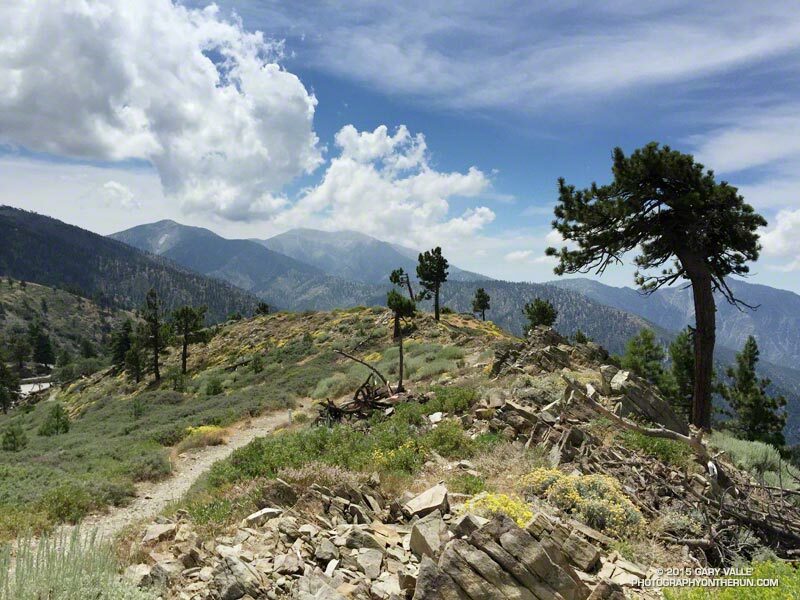 Baldy (right) from Lightning Ridge in the San Gabriel Mountains. The bright patch on the face of Pine Mountain looks like snow or ice, but in this instance results from the sheen of Pelona schist. Another view of Pine Mountain and Mt. Baldy (right) from Lightning Ridge in the San Gabriel Mountains. The bright patch on the face of Pine Mountain looks like snow or ice, but in this instance results from the sheen of Pelona schist.